Matthew Baker December 27, 2016 December 27, 2016 No Comments on Which Sports Are Best For Health And Long Life? Millions of people around the world, including nearly 60% of Americans, Australians and Europeans, participate in sports. A 2015 review found the available data on long-term health benefits of specific sport disciplines is limited, but a new study provides strong evidence participation in several common sports is linked with a significantly reduced risk of death. Insufficient physical activity is estimated to cause more than 5 million premature deaths a year. To reduce the risk of heart disease, type 2 diabetes, cancer and a number of other chronic diseases, the World Health Organisation recommends adults and older people engage in physical activity for at least 150 minutes a week. These estimates and guidelines are predominantly based on studies about outcomes of participation in any moderate- to vigorous-intensity physical activity. But does it make a difference which physical activities we do? In recent years, there has been growing research interest in how specific domains (such as work, transport, domestic and leisure time) and types of physical activity (walking, cycling) affect health. While, for example, walking and cycling were found to be associated with similar reductions in death risk, physical activity in the domains of leisure time and daily living seem to produce greater benefits than occupational and transport-related physical activities. This shows that, health-wise, it is not necessarily irrelevant which physical activity you do. Which sports are good for health? Adults participating in a high overall level of sports and exercise are at 34% lower risk of death than those who never or rarely engage in such activities. This generic evidence, however, does not imply all sports equally affect health. The previously mentioned 2015 review summarised available data on health benefits of participation in 26 sport disciplines. It found conditional to moderately strong evidence that both running and football improve heart function, aerobic capacity, metabolism, balance and weight status. Football was additionally shown to benefit muscular performance. The evidence for other sports was scarce or inconsistent. To strengthen the evidence on health benefits of six common sport disciplines aerobics, cycling, football, racquet sports, running and swimming we recently analysed data from 80,306 British adults. The study found 27%, 15%, 47% and 28% reduced risk of death for participants in aerobics, cycling, racquet sports and swimming, respectively. Although we observed reductions in the risk of death associated with football and running (18% and 13%, respectively) in our study sample, the data did not allow us to draw conclusions about these effects across the whole population. These statistically non-significant associations should not be misinterpreted as no association or evidence of no effect. We simply do not know whether the observed effects in the sample occurred by chance alone or reflect the true effects in the population. Previous studies conducted among Americans, Chinese men and Danes found a significantly reduced risk (27%-40%) of death associated with running. 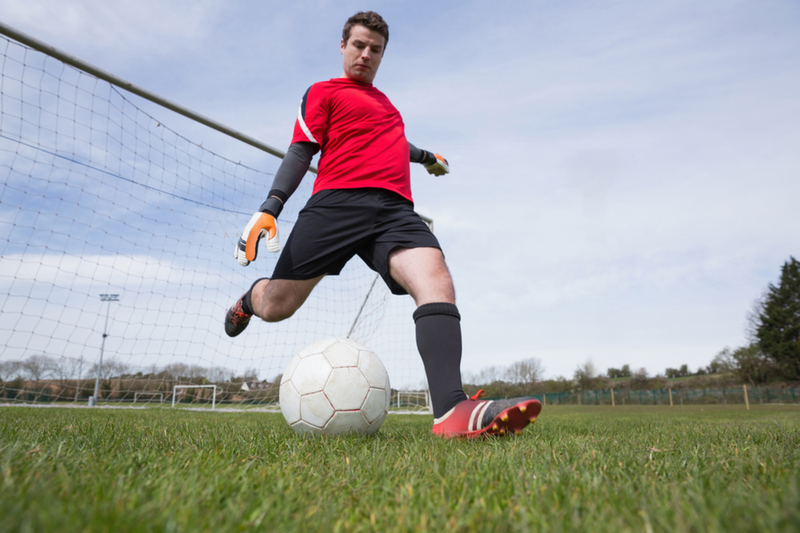 The 2015 review identified a number of health benefits associated with football. Should I play sports at all? Annual injury rate among all recreational and professional athletes is around 6%, but incidence, types and severity of injuries vary significantly across different sports. Fortunately, experts advise that up to 50% of sports injuries can be prevented. The risk can be minimised by following Sports Medicine Australias in-depth prevention guidelines in their Injury Fact Sheets. More than 50 years ago, Winston Churchill was asked to reveal his secret of longevity. Sport, he said. I never, ever got involved in sport. So should we follow Sir Winstons example, or act in accordance with the latest research evidence demonstrating health benefits of sports? Although a possibility of a sports injury or other sport-related negative health outcomes (such as sudden death during exercise) can never be ruled out, the potential benefits of sports far outweigh the risks. It may take decades until we reach definite conclusions about health outcomes of all types of sport. Should you in the meantime sit in front of the TV and wait for researchers to announce the final results? No. Follow your preferences and select an affordable and easily accessible sporting activity you enjoy doing, while trying to minimise the risk of injury. This will increase your likelihood of staying sufficiently motivated and engaged in the activity long enough to reap substantial health benefits. Do You Promise To Love Him In Sickness And Health?